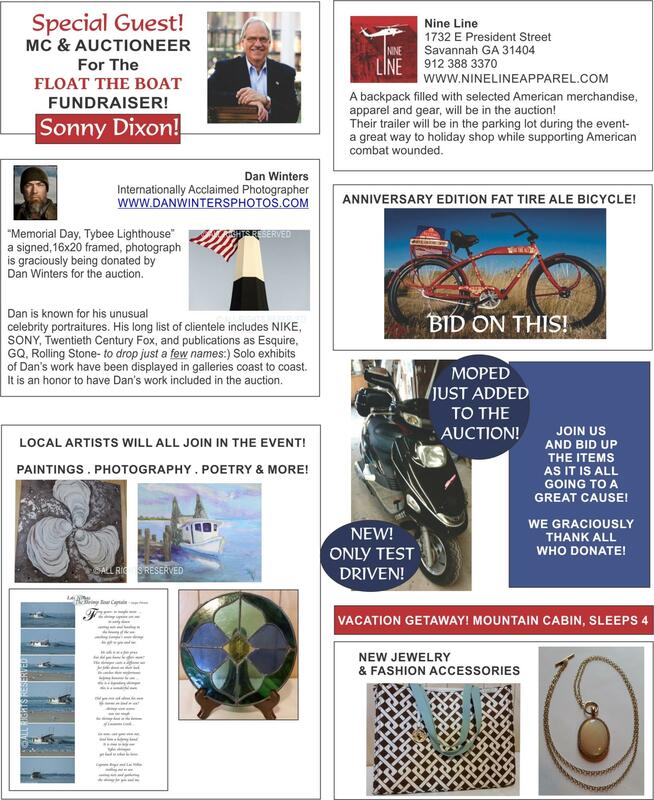 ALTHOUGH "FLOAT THE BOAT" HAS PASSED, WE WISH TO EXTEND OUR GRATITIUDE TO THE SURROUNDING COMMUNITY FOR YOUR SUPPORT & THE SUCCESS OF THE EVENT. EXTEND THEIR DEEPEST THANKS TO ALL. We are gladly accepting donations now! 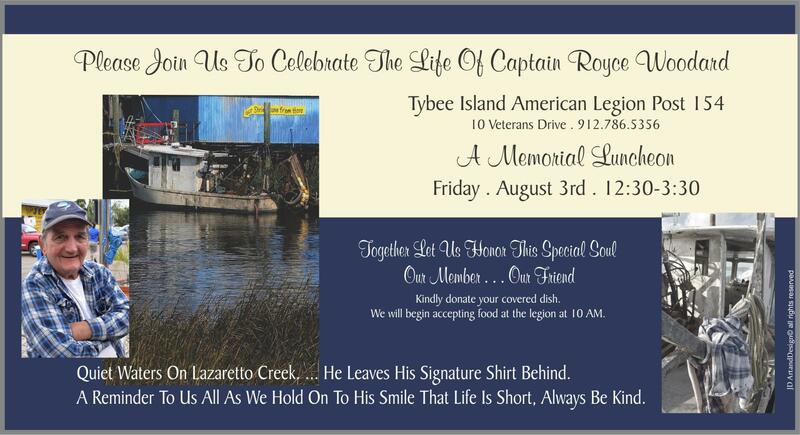 Captain Royce is an original Tybeeite that grew up on the island. He met his wife Terri when he was in the Army stationed in Puerto Rico. Captain Royce and Terri have been married 58 years. They own a shrimp boat and the Seafood Market at Lazaretto Creek. At 81, Captain Royce is one of the oldest Captains still running a shrimp boat and has been in the industry over 40 years. 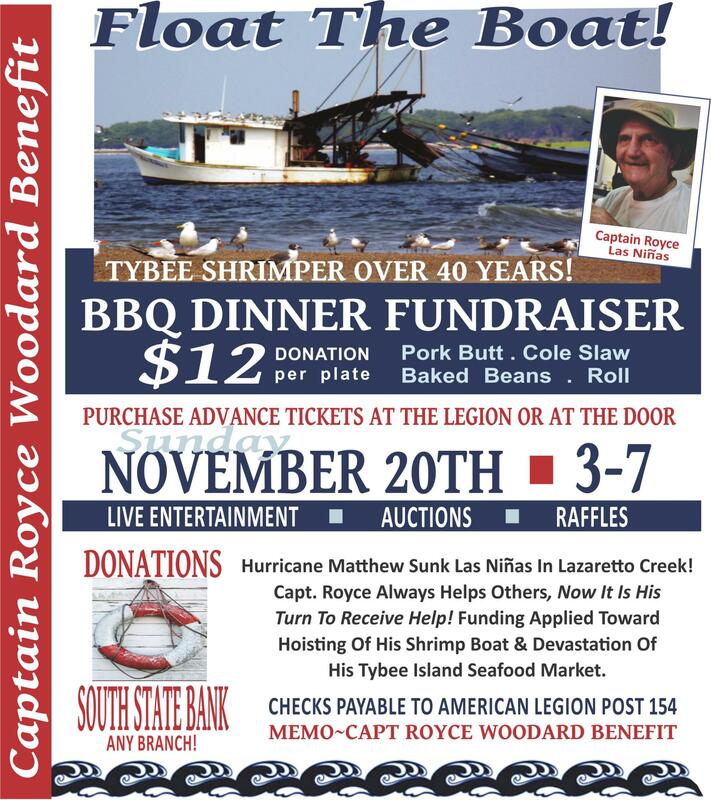 When hurricane Matthew impacted Tybee it not only affected their home, which flooded, but it caused the loss of his 35 foot shrimp boat, Las Ninas and flooded the Seafood Market. The boat was upside down in the water at Lazaretto Creek. The boat has been raised with an advance from this fundraiser. The Seafood Market had 3 feet of water in it which caused the loss of 2 of their freezers and thousands of dollars worth of product. We are hoping to raise funds to assist with the cost of raising and repairing the boat and the cost incurred to reopen the Seafood Market. 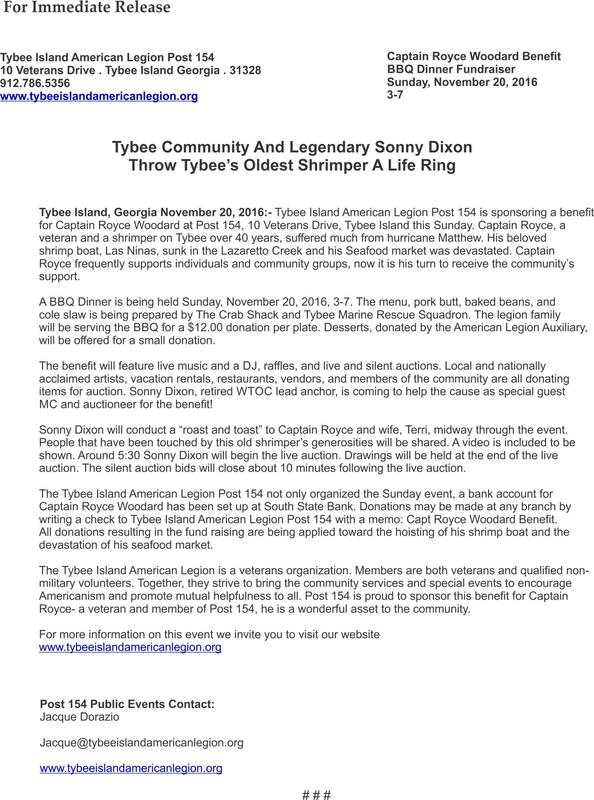 In true Tybee form, it is time to rally to support Captain Royce and Terri who have given so much to our community over the years. Your support is greatly appreciated.
. . . THANK YOU TO ALL WHO DONATED AND PARTICIPATED WITH THIS EVENT! IT WAS TRULY A SUCCESS !